If you want to lead your team to the very top, it is important to know that this requires dedication and hard work. Anyone who isn’t willing to do their best in the field can’t possibly achieve the level of success of soccer legends. Dear players and coaches, before you are the best soccer drills for all age groups. They can help you freshen up your repetitive training routine with a breeze of new ideas that can boost the skills of each and every player in your team. Let’s start from the beginning, players from U6 to U10. Children like to play, but it’s essential to teach them how to play in a disciplined manner. It’s important to use the creativity they have, meaning you should let them improvise while also teaching them the basics. It’s crucial to help young players build a solid foundation, which they can later upgrade. We’re absolutely certain that every young player has already tried simpler drills, such as speed racer without a ball, the so-called tag game or killer whale. Therefore, we recommend checking out some of the excellent soccer training programs that are available online, as they are packed with new drills. Coerver Coaching offers a specialized program for players from 5 to 10 years of age, which is called Soccer First Skills. This program is of great help to both coaches and players. Not only does it provide coaches with innovative drills for groups but also helps every individual player work on his/her ball control and footwork. 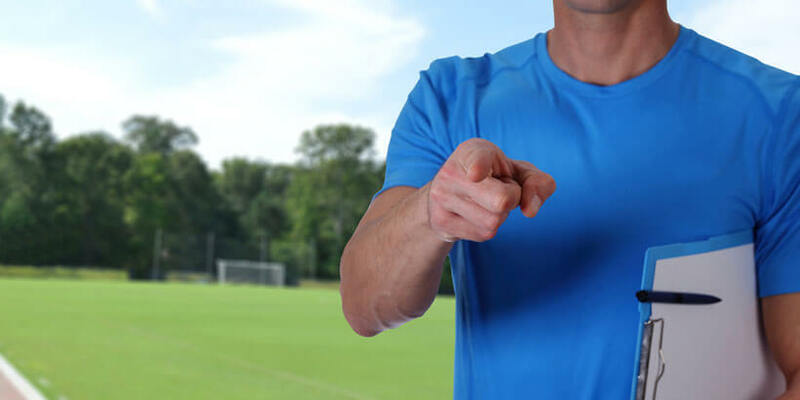 Another extraordinary program that can help you organize trainings or adopt great habits and superb basics is The Rock from Epic Soccer Training. Coach Matt Smith shares some of his brilliant ideas for forming a strong, healthy, young player through effective drills. 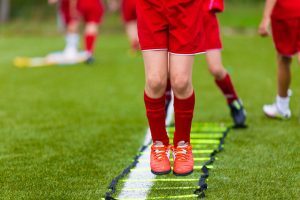 Soccer training programs feature drills that are equally useful and fun for U10 players, helping you learn how to make training entertaining and beneficial at the same time. If you’re over 10 years old or coaching older children, it’s about time you took the game to the next level. 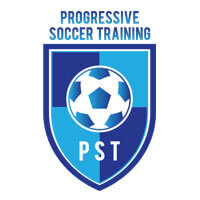 All players who have rock-hard soccer basics should strive to make progress and begin with more serious exercises. Soccer Athletics offers an outstanding guide for this level called Building The Complete Soccer Athlete. This program provides creative drills to help every player boost their skills and endurance. Becoming a complete soccer athlete is a rough process and it demands hard work, but with innovative drills from The Complete Player Program from Online Soccer Skills, it can be like a walk in the park. Coach Ben Nabers introduces amazing dribbling and shooting drills with this program. You can use it for group, 1V1 or one-person sessions. And there’s a special treat for lone wolves who prefer training alone. Renegade Soccer Training offers the Wall Work Warrior program that can improve your passing, first touch, and speed of play. For all of you who think that you’ve reached the top and tried every single drill out there, there are also soccer training programs that can truly help you become a pro. Luckily for all soccer enthusiasts, players, and coaches, there are a few more magic tricks you can learn. Renegade Soccer Training has one more ace up its sleeve for everyone who wants to achieve their full potential. Its Evolution of Touch is a premium progressive program that can help you master superior moves. The program features over 35 exquisite drills that are well-explained and easy-to-follow. They can boost your game and upgrade your fitness if followed carefully. And finally, a little something that every player needs to spice up their game – soccer tricks. Best Soccer Tricks provides incredibly useful drills to help you get closer to perfection. After that, you’ll probably come up with some good new drills yourself. 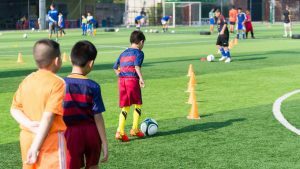 If you really love soccer, you may want to check out some of the best soccer drills for all age groups and pick those that are suitable for your skill level. With soccer training programs, you can chop your fears, pass through the shaking legs of your insecurity, dribble the last defensive player of your boring routine, and score for the victory of your dreams!